Unwind in contemporary comfort with the Grayson Leather Sofa from the Grayson Tufted Leather Collection by Cambridge Home. 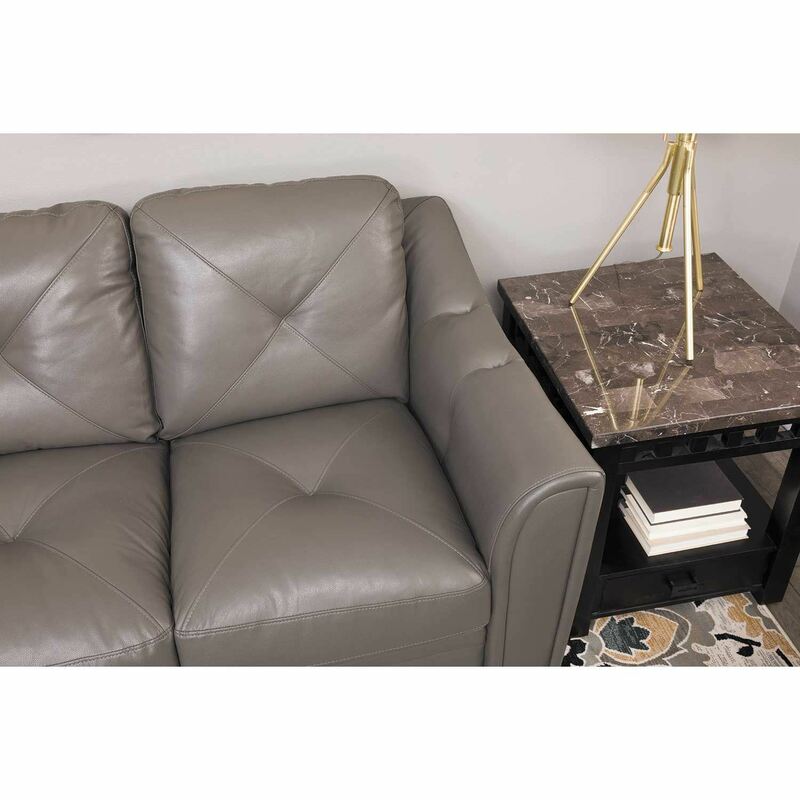 With its clean, contemporary silhouette, on-trend gray leather and leather match upholstery, and tufting details this sofa has a simple, stylish appeal that will coordinate with a variety of decor. Unwind in contemporary comfort with the Grayson Leather Sofa from the Grayson Tufted Leather Collection by Cambridge Home. Grayson Leather Sofa from Cambridge Home. 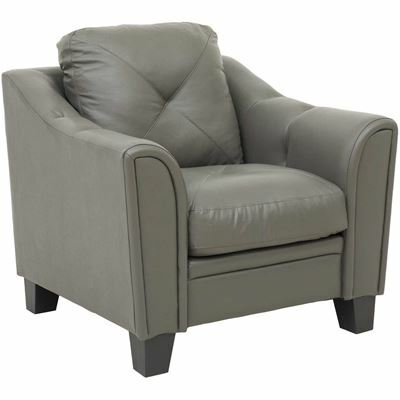 Couch is covered in a soft gray top grain leather and leather match application. Features tufting detail on back and seat cushion. Perfect for small space living.